Description : Adegga is a Social Wine Discovery service. The idea is to take the complexity out of wine and allow people to discover wines based on other people’s choice. Adegga also helps you organize your wines. 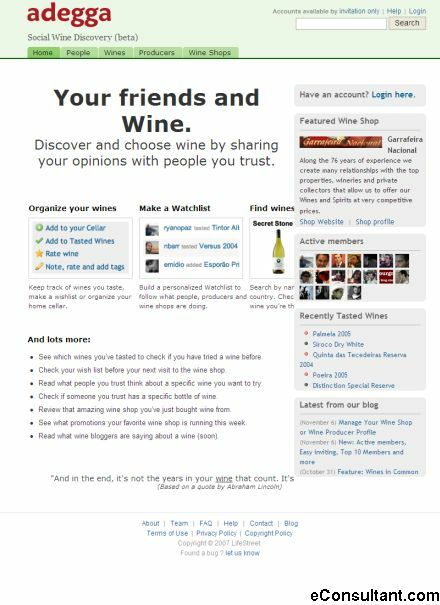 You can keep track of wines you taste, make a wish list or organize your home cellar.